We opted for a hotel in the middle between Tulum Playa Del Carmen in Xpu Ha. 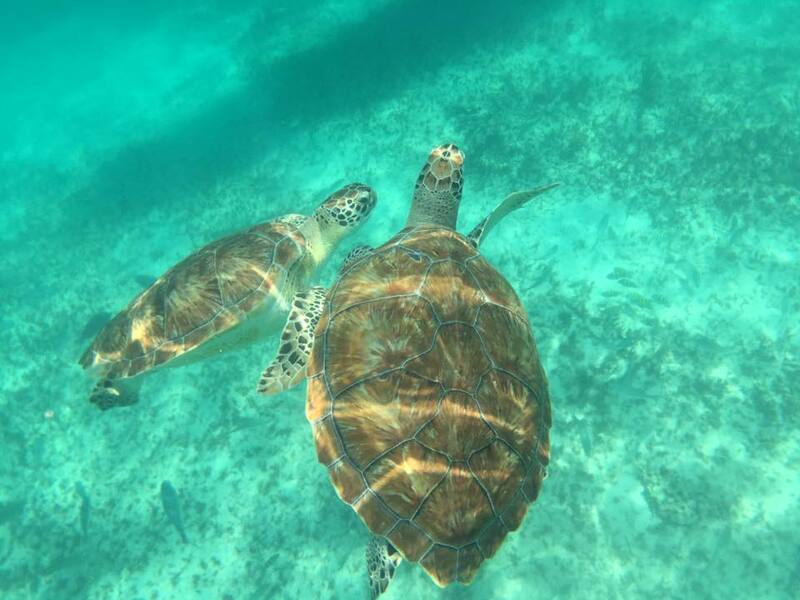 Keeping in mind all of the activities we wanted to do like swimming with turtles, visiting Tulum pueblo & Tulum beach road, Coba, Isla Mujeres, Tulum ruins, Cenotes, Isla Contoy etc. We wanted a central location. Most of our to do activities were closer to Tulum and therefore we opted for a hotel closer to Tulum. 2/ Why choose an all-in hotel. Vacation is all about relaxation for us. We wanted a carefree holiday and therefore we opted for an all-in hotel so that we didn’t have to worry about food, drinks etc. You can still skip dinner when going on a little excursion, but it’s nice to have the option of having everything you need right at your hotel. 3/ transfers, taxi’s, communales, what did we use to go about ? When you book with a travel agency like Jetair, Neckermann, Thomas Cook, etc you should know that they send over a hostess to your hotel to try to sell excursions. Some of the activities we payed for were absolutely amazing and other we regret buying. So here’s what I’ve learned. - Tulum, the ruins. Even if you take the most expensive transportation, which is a taxi to the ruins, it still didn’t come close to what we paid for in the package deal. It did come with a guide yes, but we just wanted to explore the ruins on our own, walk around a bit and just take In the beauty. You pay a small fee to enter the Tulum Ruins. - Visiting the cenotes. I you’re like me and you want the best Instagram pictures than don’t book through your travel agency. The best time to visit the cenotes is bright and early before the big groups arrive. We got up at around 6 went to breakfast and left for the cenotes at around 7:30. We were the first ones to arrive and we got the cenote all to ourselves. It was magical!!! You pay a small fee at the entrance. - Visiting Tulum Pueblo & Tulum beach. You can perfectly combine these 2 in 1 day. You should start the day with breakfast in 1 of the cute little bars on the main road in Tulum Pueblo . Walking from 1 cute shop to another is easy and if you do it before noon, you avoid the heat! Have lunch in the famous Posada Margharita and do the hotel hopping tour by following the coastline (it’s way too hot to walk on the main beach road because there’s no wind) . You can only take a taxi to the beach hotels in Tulum. - Isla Mujeres. Take a ferry from Cancun harbour to Isla Mujeres. It’s super easy and you can’t miss. We regretted buying this excursion with our travel agent, because we paid so much more for the crossing and it was oh so simpel! Isla Mujeres is a lively island with many shops, bars & restaurants. Perfect daytrip excursion! - Isla Contoy: Remember this is an island where no one lives so : no shops, no food, no drinks. The captain from our boat who took us there (30 min speedboat ride from cancun) prepared the most delicious bbq lunch and we had the advantage of cold drinks which we could grab from the boat. Which was much appreciated in those melting temperatures with no wind. - Swimming with turtles. We were on a carefree holiday. We didn’t want to bring any snorkeling equipment nor did we fancy arranging a boat & captain etc. 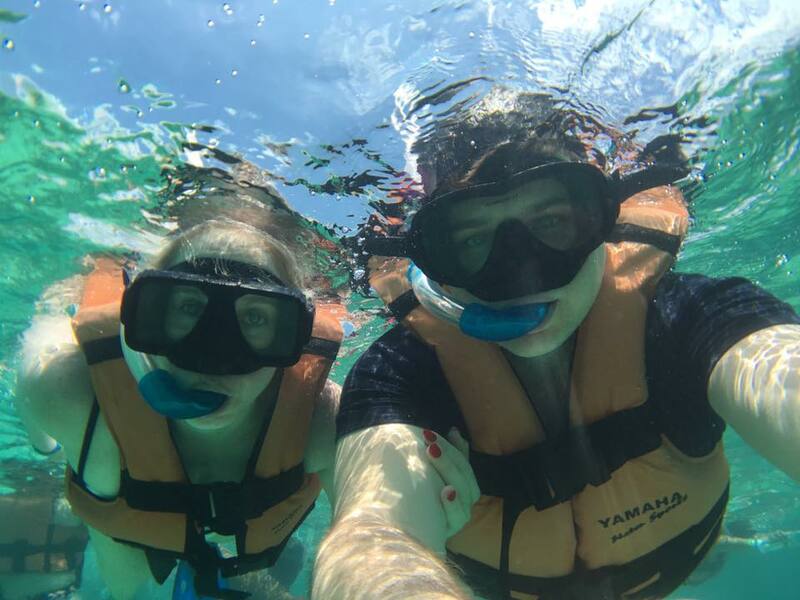 We got to be carefree on this excursion because every piece of snorkeling gear was provided for including a lunch at Tulum beach &drinks! Just bliss. - Spotting monkeys in the jungle. Some excursions feature multiple atcivities in 1 day. We opted for the one where we visited a cenote (which wasn’t the best one), coba & monkey/jungle visit all in 1 day. So 3 of our tot do activities all gathered in 1 day. This was 1 of those no brainer excursion. Just get on that air-conditioned bus and enjoy the ride.